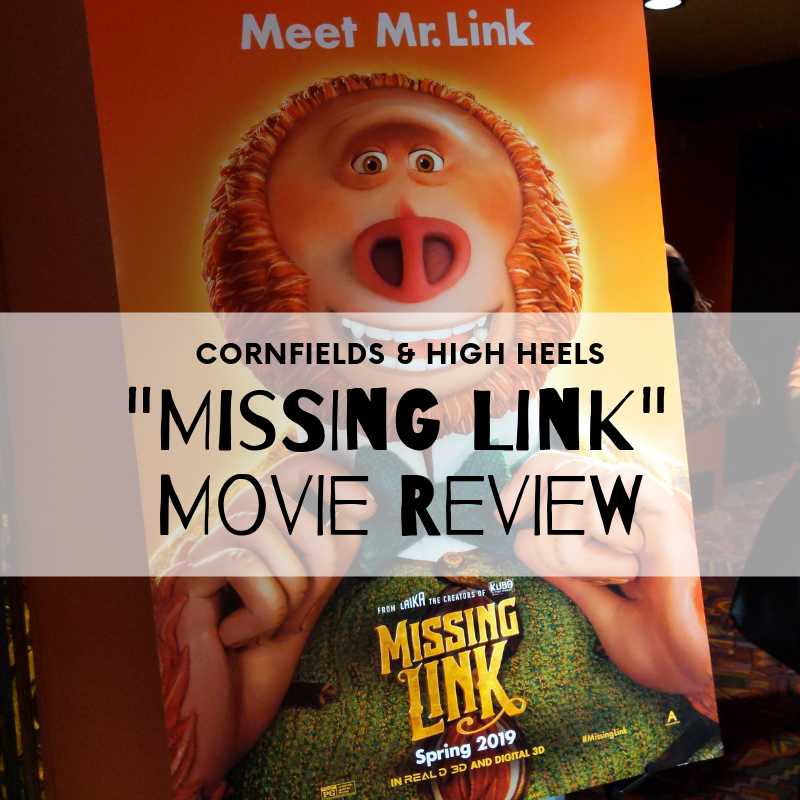 This weekend we snagged a chance to watch a sneak peek of the new movie, Missing Link, at the Regal Village Park 17 in Carmel, Indiana with theCityMoms of Greater Indianapolis! Missing Link comes out in theatres on Friday, April 12th, 2019. Mr. Link is adorable. The 8 foot tall, 630 lb. furry-looking bigfoot/sasquatch creature is a one-of-a-kind species, the only one left of his kind! Mr. Link, who can speak, write, and read, writes a letter to the eclectic (and often mocked) adventurer Lionel Frost. Frost, voiced by Hugh Jackman, is a lofty, selfish yet ambitious explorer who has high hopes of joining an elite group of adventurers who have continuously rejected and excluded him from their high-standing group. Mr. Link, voiced by Zach Galifianakis, seeks Frost’s help in guiding him find his lost relatives (the Yetis) in a place called Shangri-La. Frost, desperate to be taken seriously as a true explorer, decides to help Mr. Link on his journey after an agreement is made between the two. Although his motives are selfish and he often treats Mr. Link more like his personal servant than a friend, an old friend (Adelina Fortnight) comes along and helps Frost realizes he is no better than the very people who have rejected him and he has a change of heart. The film ends with the three friends overcoming the bad guys and discovering the true meaning of friendship through their journey. After each experiencing their own losses in life, Adelina leaves her life of mourning for a new adventure and Mr. Link and Frost for a partnership in exploration and adventure! Mr. Link remains the same kind, tender-hearted, and naive guy throughout the entire film, he won my heart and is my most favored character! Missing Link is rated PG, and I believe that is a suitable rating for this film. There is no language, that I could detect, in this film and I would probably rate this a G when it comes to the language. Rated PG primarily for the adventure aspect of the film and some mild/rude/sarcastic humor. With an amazing vocal cast and incredible animation, this movie gets a 2-thumbs up in my house!